A shortlist of three nominees – two South Africans and one Fijian – have been unveiled for the 2015 World Rugby Sevens Player of the Year Award, in association with HSBC. Following the ninth and final round of the 2014-15 HSBC Sevens World Series in London, Werner Kok, Semi Kunatani and Seabelo Senatla have been nominated for the award. The outstanding trio were voted by the management teams of the 15 core sides who compete at all nine rounds of the World Series. The winner will be announced at the World Rugby Awards dinner on Sunday, 1 November at Battersea Evolution, London following the Rugby World Cup 2015 final. Werner Kok (South Africa) – Having made his debut in London last season, Kok has been instrumental in South Africa’s performances in all nine of the 2014-15 tournaments, most notably in their Cup win on home soil in Port Elizabeth, and as the Blitzboks became the first to side to confirm qualification for the Olympic Games in Rio. Kok ended the season as the leading tackler of all players. 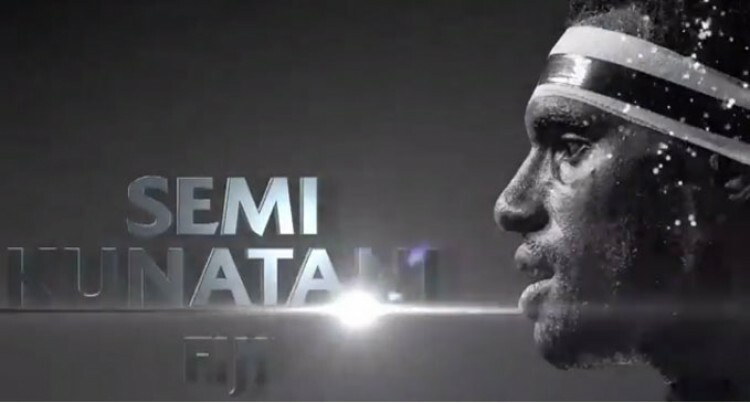 Semi Kunatani (Fiji) – Kunatani has been impressive in both attack and defence for Ben Ryan’s side in all of their Cup titles this season, finishing the season as one of the leading tacklers and try scorers (40). Having made his debut in Dubai last season, the Fijian has earned a contract with French club Toulouse for next season, but coach Ryan will have him available for four series tournaments next season, and the Olympics, should he select him. Seabelo Senatla (South Africa) – The youngest of the three nominees, Senatla ended the season as the leading try scorer with 47 tries and has scored two of this year’s fans’ favourites, as well as scoring in each of South Africa’s Cup final victories in Dubai and Port Elizabeth. His blistering pace has been one of the talking points of the season, with few able to catch him when he is in full flow. World Rugby Chairman Bernard Lapasset said: “This has been the most exciting and closely-fought series to date as we build momentum towards rugby sevens’ Olympic Games debut at Rio 2016. Once again, through tremendous skill, excitement, full stadia and record TV audiences, we have seen why sevens is such a hit with fans around the world. The three players are the first World Rugby Award nominees to be announced in 2015 with all awards being presented at the World Rugby Awards dinner following the Rugby World Cup 2015 final in England.